Episodes 349-372, may contain spoilers. “We are shaped by our thoughts; we become what we think. When the mind is pure, joy follows like a shadow that never leaves.” – Buddha. We continue the “Thriller Bark” arc where we left off, with the Straw Hats battling against all sorts of ghosts and ghouls. 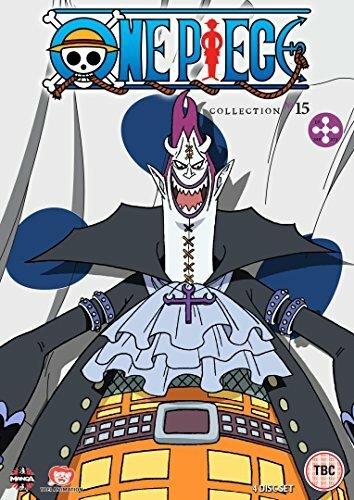 The crew have come to realise that Thriller Bark is not an island but the world’s biggest ship, captained by one of the Seven Warlords of the Sea: Gecko Moria, who plans to rule the sea without lifting a finger, by getting other people like Dr. Hogback to do the work for him. Moria has the power of the Shadow-Shadow Fruit, allowing him to control his own shadow and steal those of others. Thus it was he who stole Brook’s shadow, and he has now also stolen the shadows of Luffy, Zoro and Sanji, who will also be destroyed if they come into contact with sunlight. Moria has been inserting shadows into corpses, made stronger by Hogback, in order to create a zombie army. 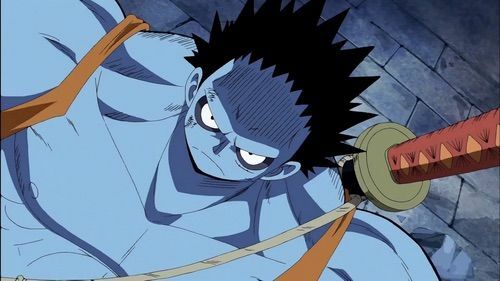 In the case of Luffy, his shadow is put into the 900th zombie, a giant called Oars. Perhaps somewhat fortunately, the zombies still retain some memories of the original owner, so when Oars first awakens, he is too busy looking for meat and his straw hat to do any of Moria’s bidding. The Straw Hats also have one other advantage when Brook reveals the zombie’s greatest weakness: salt. If a zombie consumes salt, the shadow will leave the body and return to its owner. Thus the Straw Hats start to look for salt in order to return the souls of their crewmates back to their bodies. Brook also reveals what his one great ambition is: to return to see his one last crewmate. 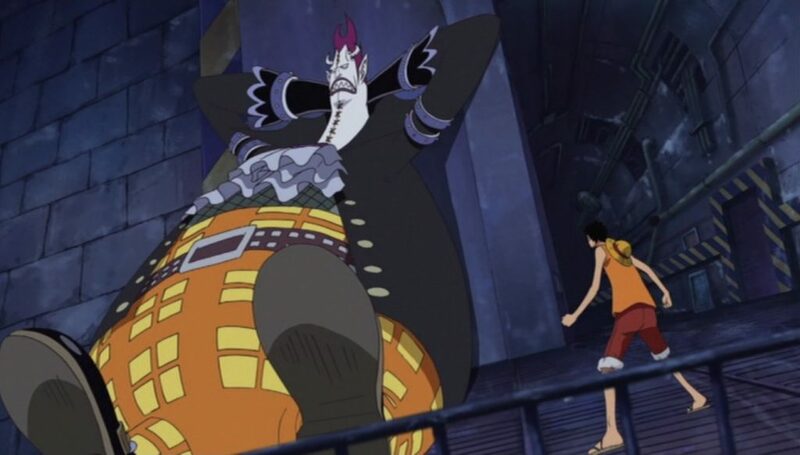 As it happens, this crewmate is someone that Luffy and some of the Straw Hats are already familiar with: Laboon, the whale who kept hitting his head into Reverse Mountain back when they entered the Grand Line. However, there are more pressing matters to deal with. Brook and Zoro duel with a samurai zombie who has Brook’s shadow; Usopp faces Perona, the controller of the ghosts that make people negative – but he has the advantage as he is already the most pessimistic person in the world; Chopper and Robin deal with Hogback and learn just how greedy he was in the past in terms of whom he loved; Nami comes out of a coma just before she ends up being married to someone she doesn’t know; and a group of friendly pirates whose shadows have also been stolen help Luffy fight against Oars by feeding him shadows – 100 of them, turning him into a nightmarish hulk. The best bits of this collection are the ongoing battles that the various characters face. This all eventually comes down to a battle between the Straw Hats and Oars, who ends up being controlled by Moria himself. Moria is able to get inside the zombie’s body, with the torso as a kind of cockpit. Thus Oars turns into some kind of undead mecha. 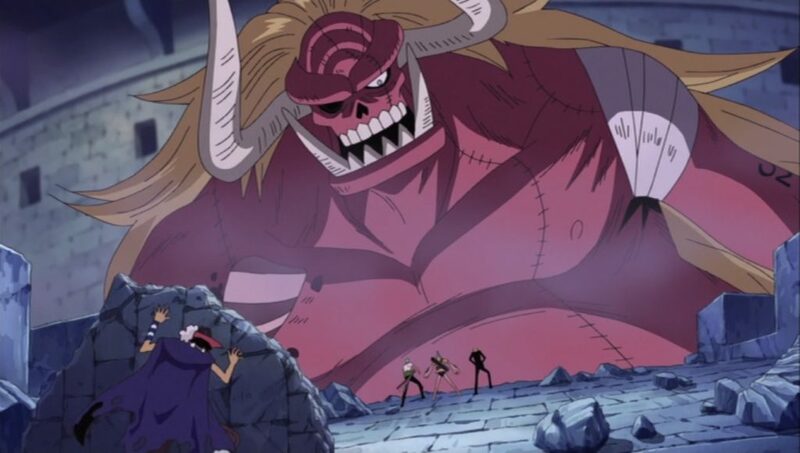 It is interesting to see how each of the crew is able to use their strengths to combat the creature, even if not all of them are that motivated, as evidenced in a funny sequence where Franky encourages his fellow crew members to grab onto his body as if he was a mecha – although Robin refuses because it looks stupid, annoying everyone else. Some viewers however, might be annoyed that one of the episodes is almost entirely in flashback, and could arguably be called a clip show, when Luffy and some of the others recall the time they met Laboon. Although watching it does make you appreciate how far One Piece has developed visually: the difference in aspect ratio, the way the animation has developed and so on. However, the really annoying point is that there are only a few episodes of the “Thriller Bark” arc left, but this collection does not complete the story. You think it would have been better to include some more episodes in these collections, but instead we have to wait for the next one to see the very end. In terms of the contents of this collection though, there is a textless opening, episode commentaries, and interviews with English dub voice actors Christopher R. Sabat (Zoro) and Eric Vale (Sanji).